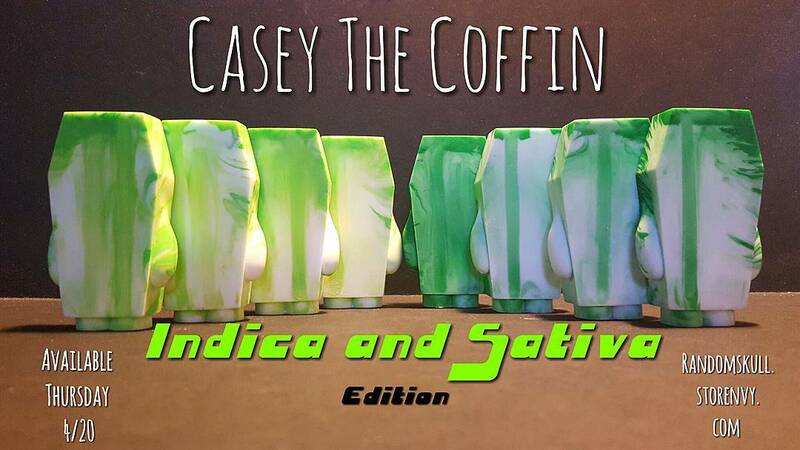 To celebrate 4/20 tomorrow, Random Skull Productions is releasing two new green colorways of its adorable Casey the Coffin resin figure. The 4:20 Case the Coffin will be available in Indica Edition and Sativa Edition, with both strains limited to just 4 pieces each. This anthropomorphic coffin with arms and short legs stands 3” tall and is 1.75” wide. Collectors can purchase both of these new figures tomorrow, Thursday, April 20th, at the Random Skull Productions online store.